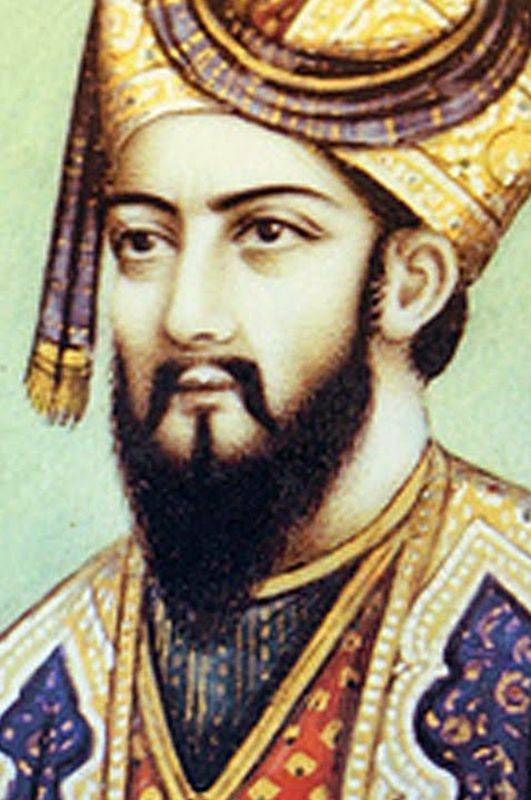 Babur is the first Mughal emperor, founder of the dynasty that will reign from the sixteenth century to the nineteenth century on the north of India. 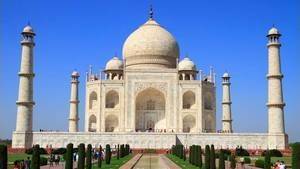 It is his great-great-great grandson who will build the Taj Mahal. His birth name is Zahir ud-din Muhammad, BaBur being a nickname later granted and meaning "panther". He was born on February 14, 1483. He is a direct descendant of Tamerlane by his father. Tamerlane was a 15th century conqueror who acquired a large territory over western and eastern Asia. He was known for his ability to slaughter the inhabitants of the lands they occupied, making him one of the biggest killers the planet has ever known. Babur's father was Omar Sheikh Mirza, king of Ferghana, a region presently in Uzbekistan. His mother was Kutlug Nigar Khanim, a descendant of Genghis Khan. As a result, Babur had an ancestry filled with warriors, yet he was rather fine literate. He received a thorough education, developing the arts as literature. His language was Chagatai, an orientated version of Turkish, which he will use to write his memoirs. He was also an accomplished rider, and a good swimmer. His father Omar died on June 8, 1494. At that time, in these regions, the rules of succession were not established in a clear way, it is besides the wars of succession which weakened the future moghul empire. After Omar's death his uncles tried to ascend the throne of Ferghana but they failed, his son Zahir having managed to grant it. He is only 12 years old. He then thinks of expanding his kingdom and targets Samarkand, a prosperous city former capital of the Timurid kingdom which he believes has legitimacy. It will be his first conquest, in 1497, but during this battle the nobles of his kingdom dismiss him. Babur then returns to retrieve Ferghana but along the way his troops abandon him, automatically freeing Samarkand, lost. Having formed a small army he recovers his territory of Ferghana but in 1501 he is again hunted by the Uzbeks and their warlords Muhammad Shaybani. Only surrounded by a few dozen loyal warriors Babur will wander into his lost kingdom until 1504, when he reaches Kabul and seizes the city. 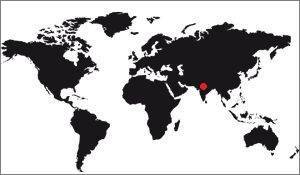 But Kabul was a rich city, it is found at the head of a kingdom certe small, but prosperous. In 1510 his enemy Muhammad Shaybani died. Babur will then claim Ferghana. He will ally himself with the Turkmen to obtain an army and eventually take Samarkand again in 1511, but as the previous time he is driven out the following year, defeated by the Uzbeks. He returned to Kabul in 1514 without having achieved his ends. Fearing the Uzbeks, on the western facade of his kingdom, he turned to the East and its region of Punjab, a region formerly a member of the Timurid Empire. Region rather rich, its annexation would be a good source of income for him and it would open to him the doors of India. So he sent several troops into the Punjab to try to take Lahore, which he managed to do in 1523. Then, the next city, even more interesting, is Delhi, but it is directed by Lôdi, 3rd Sultanate Sultanate from Delhi, a hateful and hated character of all, including the local nobility, mostly Afghans. Burb therefore seized this opportunity and allied himself with a Punjab rebel leader, Alam Khan, who provided him with an army of 12,000 men. At the head of such an army Babur walks on Delhi. Lôdi sends an army of 100,000 men and combat elephants. The two forces meet at Pânipat on April 21, 1526, the date of the great founding battle of the Mughal Empire. Lôdi's troops are defeated and Babur takes Delhi in the wake with the help of his son Humâyûn. He then proclaims himself Emperor of India and continues his journey on Agra, which they conquer together. BABB then founds the foundations of a new empire and begins to structure his new territory, but the first enemy arrives quickly. It is Rana Sangha, from the city of Chittorgarh, in Rajasthan (west of India), which is based on Delhi in 1527. A new battle took place on March 10 this year in Kanwaha and, despite the unbalanced balance of power in favor of Sangha, he lost the battle. Rajasthan falls into the purse of Babur. His thread Humâyûn pursues the conquest of the Ganges valley and pacifies the region. At this moment Babur is the master of North India, the height of his reign. He then spends most of his time structuring his kingdom, abandoning new hypothetical conquests. He founded his capital at Agra and designated Humayyun as his successor. He died December 26, 1530 and will be buried in Kabul. Babur came from a highly Persian Turkish family. His religion was Islam, a 900-year-old religion that spread throughout the Arab-Persian Peninsula (to the East) and North Africa (to the West). However, in Ferghana, Babbur's home region, religion was not that important compared to what was practiced in other kingdoms. Babur was a tolerant emperor, and he accepted without problem that the people living in his territories were not Muslims. He was in this a precursor to the wide vision. His descendants will follow his example and this was one of the reasons for the success of this Empire compared to others. It is interesting to note that it was precisely when one of the emperors applied a rigorous vision of Islam that the Empire began to fall. 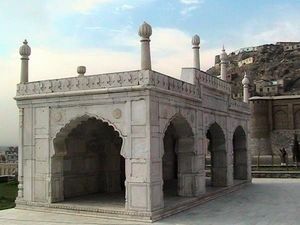 During the reign of Babur, the Sikhs, for example, were able to preserve their temples, which had been destroyed a century earlier by his ancestor Tamerlane. The reign of Babur was rather short, only four years (1627-1630). During this period he respected local traditions and introduced various influences into the Indian subcontinent. For example, in architecture, the Timurid tradition dictates that the grounds for imperial constructions should be divided by canals and basins of great symmetrical rigor, which can be found in all the constructions of the dynasty. Such gardens, which are called here Charbagh, are generally in 4 parts, separated by 4 cross channels. They are a representation of Paradise on Earth, as is the Muslim tradition. However, among the Mughals of the sixteenth century this spiritual dimension, if important, is also considered as a visual metaphor for the ability of the Mughals to govern their territories, the perfect ordering of the gardens to prove to the conquered their ability to regulate the problems of the populations. According to this aspect of things, no one can pretend to lead if he does not know how to manage his own garden. 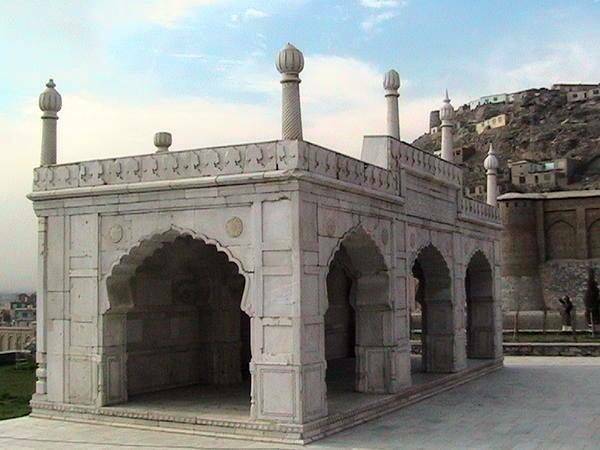 In addition to Muslim influences Babur integrated into the art craft methods of work from the Persian Empire, but it was especially the Hindu influence that was most important in the adminsitration of the territory. It must be said that this territory was essentially Hindu, even if it was small enough, so it is normal that the beginnings of the Mughal Empire is, artistically, architecturally, a mixture of several cultures. The heritage of Babur is therefore twofold. First of all, we find a new, standardized territory. 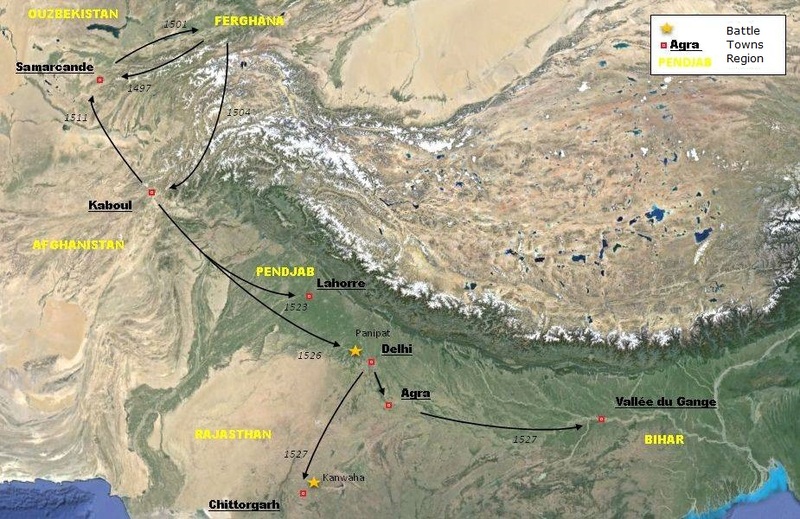 This is the beginning of the Mughal Empire that spans all of Northern India. This territory will be taken over and enlarged by his son, Humâyûn. But beyond a simple territory, it is above all a new culture that has been put in place by Babur, a culture made of a mixture of Islamic and Hindu influences. It is undoubtedly this heritage that is the most important since it is he who will structure the lineage of the Mughal emperors.